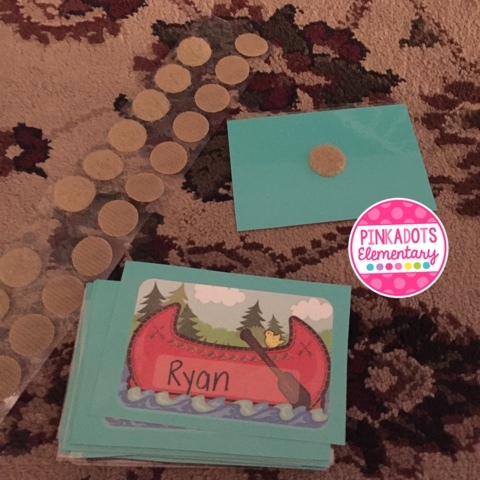 Pinkadots Elementary : Back to School Tips on Name-tags! 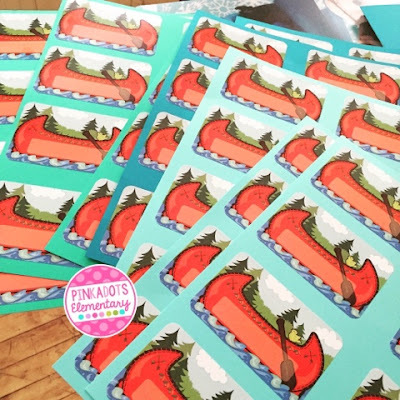 Back to School Tips on Name-tags! I am making some last minute preparations for the new school year. Here in Connecticut, I start school Wednesday. Monday and Tuesday are teacher meeting days. I will probably stay late Tuesday to have some (child-less) time in my classroom. Whenever I went in to work this year I had my 3 & 5 year old with me. Because of this, I could only get "so much" done. This year I will have seventy-five 4th grade students! Ahh! I NEED name tags to keep up with names, but also like the flexibility of moving students. Here is my quick solution to names tags that last and move easily! 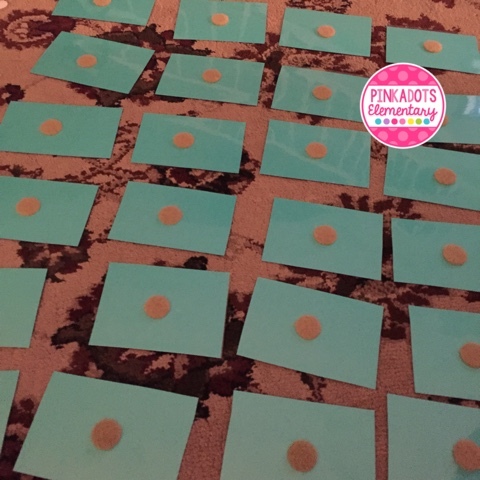 I bought this roll of 100 tags on Oriental Trading. It fit my camping theme, although it was for Vacation Bible School??? 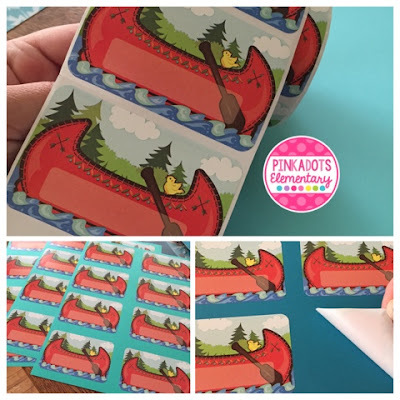 I stuck the stickers to card stock! Luckily, they easily peeled off when I didn't align them correctly. Since I have three classes I color coded the paper so I could easily keep track of the names of students in each class. 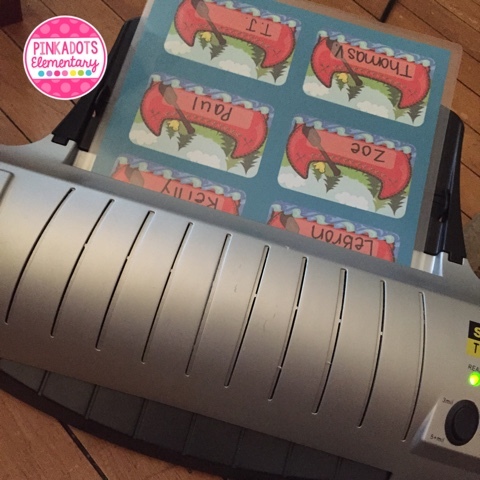 Next, I used a Sharpie to write student names on the stickers and threw all the sheets in the laminator. I was able to stick on 8 name-tags per sheet, so I only laminated 9 pages. I cut out all the tags and used Velcro on the backs. The other side of the Velcro dot will go on the desk! This will make it easy to move any students! Sorry for the bad lighting, this took a while and it was getting close to bedtime! Now I have seventy-five tags, nicely laminated, and ready to Velcro to a desk. I made a sheet of blank tags for the students who get added to my classroom or students who use a nickname (they just won't be color coded correctly). I will just use a Sharpie to write OVER the lamination.